Umgeni Water is committed to providing all its customers with safe drinking (potable) water that is suitable for lifetime consumption. This commitment is realised through the implementation of water safety plans. The implementation of water safety plans involves a rigorous and system-wide water quality management programme. It includes but not limited to continuous review of the water quality risks (associated with abstraction, conveyance, treatment and bulk distribution), implementation of risk based monitoring programmes, auditing, compliance reporting and a drinking water quality incident management protocol. Furthermore, sampling and analysis are undertaken in accordance with an ISO 9001 certified monitoring programme and SANAS 17025 accredited laboratory methods, respectively. In addition to ensuring safe drinking water, Umgeni Water is also responsible for ensuring that wastewater discharges are not harmful to the environment and downstream users. 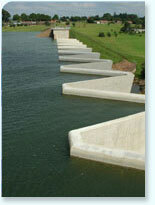 This is achieved through development and implementation of wastewater risk abatement plans. This process includes but not limited to comprehensive and site specific risk assessments and implementation of the respective mitigations plans. Site specific wastewater incident management protocols have also been developed and implemented in the management of wastewater incidents and non-compliances. In line with our stakeholder communication plan, information on water quality performance is conveyed to all customers, stakeholders and legislative decision makers. The entity also remains committed to providing customer support toward ensuring progressive achievement of full system (i.e. including distribution) Blue and Green Drop Certifications. Overall compliance of bulk potable water supply systems was excellent for the reporting period. Compliance per SANS 241:2015 risk category is shown in Figure 1 and the more detailed potable water quality compliance per water supply system is shown in Table 1. Sixteen (16) bulk water supply systems complied with the excellent requirements for all risk categories specified in SANS 241:2015 Drinking Water Specification. The Lidgetton system reported excellent compliance, except for the operational risk category which was classified as good. Table 2 shows bulk wastewater quality compliance per system, assessed against the relevant licence or General Authorisation General Limits prescribed by the Department of Water and Sanitation (DWS). Umgeni Water was not managing these sites at the time. Overall effluent compliance for the reporting period was 79% (Figure 2). One works, Darvill WWTW, did not meet the set target, achieving 72.4% against the target of 80%. Aluminium non-compliance remains a long term problem at the site due to industrial inputs. The completion of the works upgrade project, which is significantly advanced, will increase capacity and enable compliance related improvement. The proposed constructed wetland, for detention of some storm dam spills, will also have a significant benefit once completed.